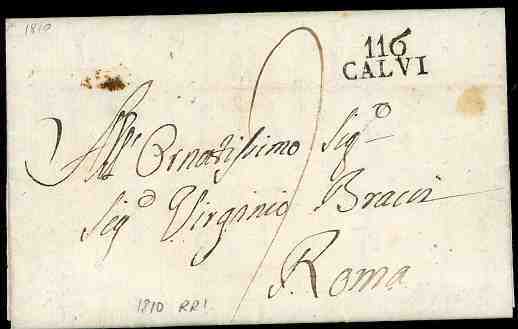 ROMAN STATES (Stato Pontificio) "116 CALVI" (Napoleonic dipartimento 116 = Tevere) superb strike on entire letter (24.9.1810) send to Roma. Calvi and Canino are the rarest "porto dovuto" handstamp of this departement. A rarity from the famous Noel collection.